Sometimes, the best solution to beating the Monday blues is to dress well. Wear something bright. Bold. Sparkly. Anything that can help alleviate your mood. It usually works for me -- I feel confident and more like myself when I'm wearing something that I like. This skirt is marked at an unbeatable price, and I have been wearing it nonstop since it arrived in the mail. 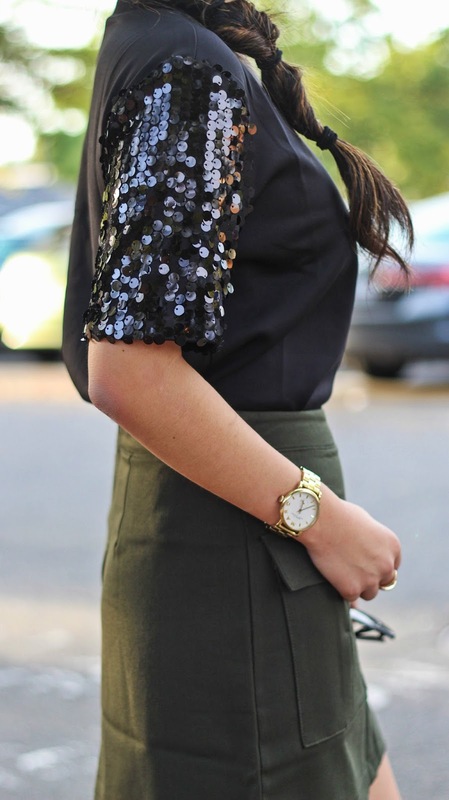 If you don't own an olive skirt for Fall, this one is ONLY $17. It pairs well with just about anything. 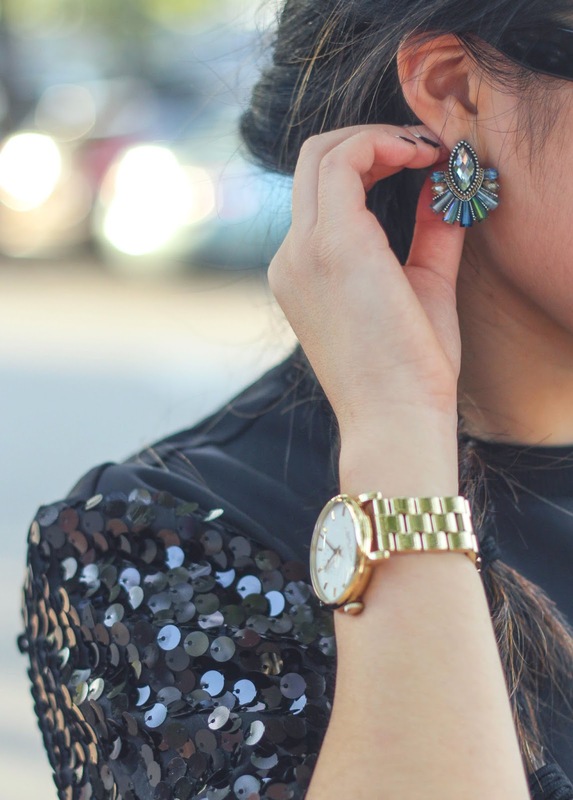 Nothing quite like a little sequin to brighten up a Monday. P.S. these OTK boots are less than $50 and come in THREE different colors. What a steal.